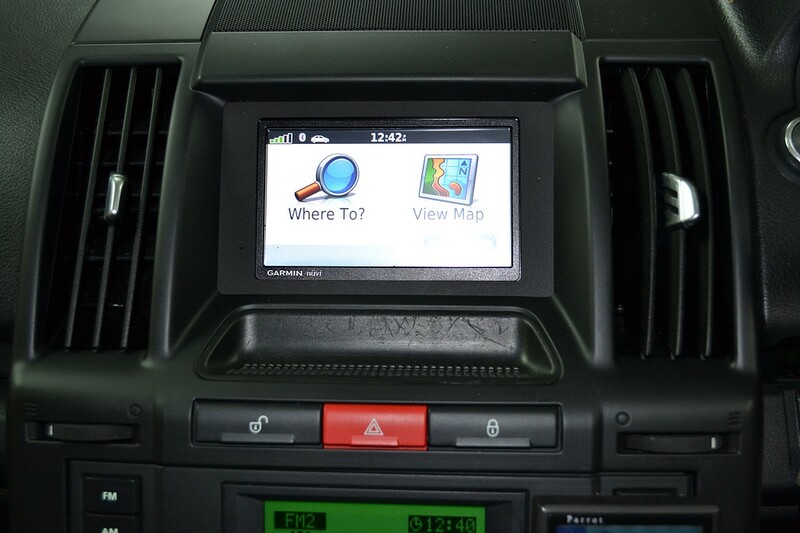 This Land Rover, Freelander 2, did not have factory GPS (satellite navigation system) fitted. We retrofitted a special kit made for the Landrover Freelander (and also the Range Rover and Discovery). Once installed the GPS looks as if it was installed in the factory.